Home » 25 Days of Giving: Casper Giveaway! We’re kicking off our annual 25 Days of Giving with a super exciting giveaway from Casper Sleep. Not only does the contest include the opportunity to win a brand new Casper Wave mattress, but there are also 16 Casper pillows up for grabs! The way we’re breaking it down is that the first place winner will walk away with the Casper Wave mattress + two Casper pillows and 7 runners-up will wind up with two Casper pillows each. For more on either of these products, check out our full reviews here: Casper Wave & Casper Pillow. Remember that we’re just getting things started! Keep an eye on our social media (and our blog) throughout the month of December for your chance to walk away with some fantastic mattresses, bedding, and more. Parenting Battles – Most Common Child Fights and Outcomes! Would this bed fit where I need it to? We like the Zenhaven, it’s good for side sleepers, but some of the others look good too. In wonder about how this bed holds up over time. The Casper looks seriously sturdy and comfy.. This is perfect for us!! All the mattress look great, but my favorite is the DreamCloud. awesome giveaway! Thank you for the chance! I like the Purple and the Zenhaven, please. tjiswould be GREAT to win! thank you #SLEEPOPOLIS for this chance! I think Casper would be a good choice. Casper Wave seems like a nice mattress for those who prefer a softer feel. It would be a good choice for my mom, but it’s price is a bit too high for her. The zenhaven sounds no e for a latex. All the mattresses sound so comfortable! But I’ve heard wonderful things about Tempur-Pedic for so long, I would have to go with a beautiful new Tempur-Pedic mattress! I’ve always wanted a casper! Just go to a mattress showroom and lie down on a Tempur Pedic…. I would love to win one of these matteresses. Right now I have the old fashion matteress and box spring. I’ve been wanting to try one of these new types of matteresses. Casper is my favorite so far. I’m wondering if it would be hot & sink in to much. This seems like another good mattress to me. I would love to win it. Thank you for having such a great giveaway! I hope I win! Would love to win this giveaway. Thank you so much for the chance! I believe the Ghost Bed would be amazing and would go a long ways towards helping relieve my back pain issues! Thanks for this information!! I would love to win this! We need another mattress. Thanks for the chance! I think the Purple, or the WinkBed mattresses would meet our needs. Good Luck Everyone! Would to be sleeping easy on a Casper! Hello, I am 51 year old woman with bad back issues following a car jacking incident in which I was shot 10 years ago.I have had the same bed for 22 years now and need a new bed ASAP. I have been placed on disability because of all my injuries and can not afford a bed at this time, So once again I am hoping for a win. Thank you so very kindly for the opportunity!! Enjoy your Holiday Season Everyone!! Each and every one of these mattresses all sound great so it would be kind of hard to decide but I’d love to one any one of them as they all sound great. I really like the Casper Wave! Would love to win. Thank you for the chance! yay i would love a new mattress! I love the Casper .. I sleep most of time on my side and would love to win this …. CASPER wave mattress come to mama!! CASPER! I like that it has the layer of latex along with the other layers – not sure this qualifies as a latex mattress, but it sounds luxurious and just may be my favorite! A new mattress would be really nice. For me and my husband, I think the Purple, or the WinkBed mattresses would meet our needs. Good Luck Everyone! Thay are all amazing! I can’t pick just one! Either the Zenhaven or the Casper seem to be the best fit for me. It is quite the toss up between the Casper and the Purple mattress. If I were to have to choose, I would say the Casper would be my choice. The Purple is my favorite but this one sounds great too! I think I would love any of these great mattresses, because right now I am sleeping on the sofa and sometimes with the arthritis that’s really bad in my back and neck, but it’s all over, it is hard to get up with the pain. I think a great mattress would help a lot and if I get lucky enough to win it would be great and if not I can have lots of good reviews for when I can maybe get a new mattress for myself. Anyway good luck everyone and thanks to sleepopolis and the companies for the giveaways!! The reference to hotel mattresses is really helpful as that gives a great point of reference. Thank you for all the information. What an Awsome mattress and amazing giveaway.it would be a dream come true if I won.🙏🙏🙏ty for the chance.gl everyone. My favorite would have to be the Purple..
After a year and a half of sharing a twin bed with my partner, that sure looks comfy! Would love to win, I just had back surgery. Would help alot. I’ve heard great things about Casper mattresses. I would love to have a quality mattress, one that doesn’t moan, groan and squeak every time I lie down. Tried this in the store was very impressive and comfortable for me as side sleeper. There’ s just something about the Purple Mattress review that I really like! So far the Sealy is my fav. I’d love to actually go to sleep and feel rested in the morning. On top of having sleep apnea and having to wear an APAP at night i also have sciatica that hurts so bad from the bed im on there’s days i cant even walk! Winning any top end mattress would be a god send!!!! I honestly am in serious need of a new mattress. I would be embarrassed for anyone to see what the mattress I sleep in looks like. Thank you for your kindness and giving persons like me a chance to be given a New mattress. God bless you for that. We would be so thankful to win a good night’s sleep from y’all! This Casper Mattress looks awesome! I would love to win! Casper is my favorite mattresses. I want to try it out. The Casper Wave looks so plush and comfortable! The comparison to hotel mattress struck home. I usually sleep SO well in the plush mattresses they use. I would love to replace the thin 6 inch mattress we have now! This seems like the perfect bed it has everything, Whoever wins this is very lucky!! Gosh, it seems like all of your products are all high end. My family and I would all be thrilled and grateful to win anything. After reading the posts, I noticed that I am not the only one with Lupus and Rheumatoid Arthritis. Thanks for the opportunity and Happy Holidays to everyone! Winning this would be awesome. Nice mattress, hope to win. We recently bought a new mattress and are still not satisfied. We just need to give in and get a Casper. I do like the Purple but after reading your reviews, I like the Casper better. :-) Thank you. A win would be amazing. My 15 year old son needs a bed so bad. Thanks for the chance. You guys have an awesome, informative page thank you for all you do. Happy Holidays! I definitely need this type of comfort in my life! Casper is my favorite! !I want to try it out so bad! Keeping my fingers crossed to win one of your giveaways! Even the pillows sound AMAZING!!!!!!!! I would love to win a new mattress!!! I like the Idle mattress. Review #3 for me so far, great opportunity to win! Everything looks so comfortable!! I am comfident these would let me sleep all night comfortably. I turn several times a night because of pressure points hurting. Beautiful mattress, would love to win thanks. I need a mattress to keep me cool while I sleep. I wake up so much from being to warm. Would love to win this! Please pick me! My husband and I both struggle with sleeping…he only had 2 hours of sleep last night! It would be wonderful, and therapeutic, to have an opportunity to get a great night’s sleep! I’ve heard a lot of good things about Casper. In the market– mattress looks nice. I would love to win a mattress! I just bought a new $200 dollar mattress just so we can exchange the 10 year old one. lol Thank you for the opportunity! The Casper Wave looks pretty amazing! Fingers crossed.thanks guys in advance. From what your review entails, I think the Casper wave would be the best choice for me. Thanks for this opportunity. I have restless leg siddrome and lupus with RA. We have had brand mattresses that just make it worst. We have givven away more mattresses to family members that I can’t sleep on. Wake up in the morning after maybe getting roughly 4 to maybe 5 hours sleep a night, and then feel in my body when I get out bed that someone had beat me up. After reading about this mattresses I am willing to give it a try. But buying another matters is definitely out of the financial spectrum. So I looking for the day when I get an notification from you saying I won. That would be great. Thanks for taking time to hear me out. Of the Latex mattresses, I think the Zenhaven would be the best for me. I am a side sleeper and it seems to check all the boxes. My son and daughter in law bought one of your mattresses and love it. I sure would like to win one, as I cannot afford to buy a new mattress right now. Thank you for the opportunity to win one! I would love to win. I need a good mattress. I need this mattress. Hoping. I would love the purple mattress. They all look amazing! I’d love to try Casper Wave! Any of the beds for a side sleeper because I am a side sleeper, this would be perfect for me. Oh yes please! My back and neck would love this Casper mattress! Or even just pillows! I would be thankful for any of these mattresses! I need this in my life. I wonder how it compares to Helix mattresses. I need a new mattress so bad! This is one of the companies I have been researching. I would love to win one! Would love a new mattress. I have to get up in the middle of the night to take ibuprofen in order to sleep. My back starts to hurt after a few hours. I so want to win a new queen mattress! Awesome Christmas gift! The Caspar Wave looks awesome! So far, the Zenhaven was my favorite. This Casper mattress is sweet though!!! I would love to have a real bed! Sleep on a air mattress! Thank you for the chance to win! I would absolutely love to win one of your mattresses so that I could really get a good nights sleep! Thank you, for the informative reviews and the generous giveaways. I have not used a Casper mattress but have read amazing reviews and would love to try one. This mattress looks super comfy! We need a new bed so bad, we wake up every morning with back pain. This would be absolutely it amazing to win. Thanks for the chance and good luck to everyone!!!!!!! I really like the Zenhaven but they are all nice! My husband has been talking about this mattress for years! Thank you for the opportunity to win one as it would really be amazing to surprise him! OMG, Me and my hubby definitely need this mattress!! Casper is my choice and they all have so many great qualities. I can’t decide! Thank you for the reviews and giveaways! They are so much fun. Caspar would be my favorite. I NEED this mattress. My current foam mattress, I won’t mention brand name, has gotten full of mold spores and my doctor says it is making me sick! I desperately NEED a Caspar mattress. Would love to win a new mattress for my husband! So far the Caspar Wave and Nectar both sound perfect for him! Thanks for the chance! Fave latex brands you have reviewed are Spindle & ZenHaven. Both sound great. In a desperate need of a new mattress. PlushBeds Botanical Bliss Mattress seems like it would be the best fit out of the latex mattresses for me! Would love to try your mattress and pillows! Casper wave is my favorite! The Nectar and the Casper both are benefical for me! Right now my favorite review is on the GhostBed, but the Casper sounds pretty amazing also. Wow, this would be fantastic to win! Looks like a spectacular mattress! This mattress looks so comfortable and supporting. I’ve started having lower back issues because my mattress is old and has become too soft. I am very interested in the Zenhaven and Spindle mattresses. The casper sounds like a favorite to me! 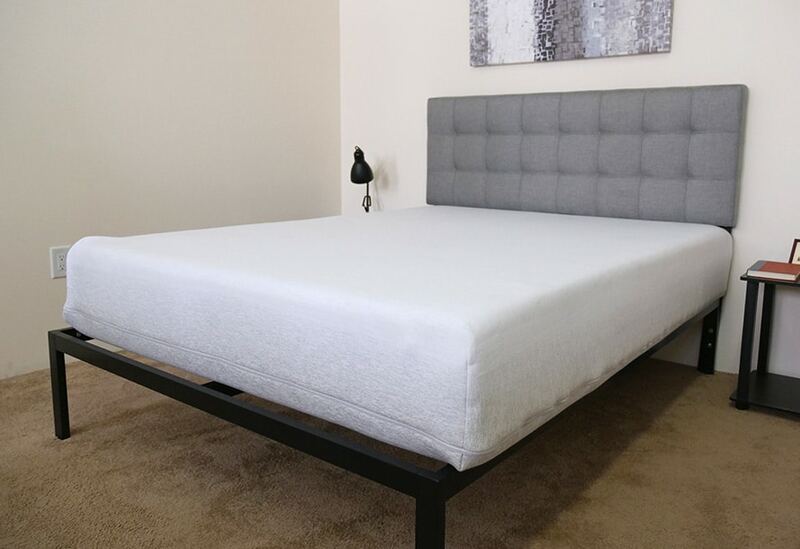 Your Casper Wave mattress looks very comfortable!! 25 Days of Giving! Super Giveaway! Great prizes! I would love to win a Casper pillow!! Spindle is the best latex mattress that was reviewed, I think. My favorite latex mattress is Zenhaven mattress. Have wanted this mattress for so long! We need it! I loved the ghostbed review. The Leesa mattress is my favorite! ! Thank you for this great opportunity to win an awesome mattress! ! Zenhavena was my favorite latex mattress. My favorite is the Casper Wave mattress. Casper is my favorite review! I love the Casper Wave mattress. It is so comfy. They all look wonderful, but the Hybrid and the Avocado seem to stand out for me. The Casper mattress and pillows would be great products to own. I’m sticking with the Nectar bed. I’m very impressed with how it sounds. Really need this, it’s only been 16years since last mattress. I could use a new mattress and some nice pillows! I would love to have the casper wave mattress. All their mattresses would be great to own. I have tried many beds, however with my bad back, nothing works. I am willing to give this wonderful bed a try. They are all just amazing. The Casper Wave mattress sounds awesome. There really are so many good ones, and Zenhaven looks very nice. I love the many different layers of the Casper and that it draws heat away..I’m such a hot sleeper!! I’m a hot side & newer sometimes back sleeper and I love a softer feel yet worry about proper support. Your review notes this Casper model provides exactly that as well as sleeping cool. Would love to try the Casper Wave! The Caser mattress of coarse! My favorite latex mattress is ghost bed. The WAVE is my favorite ! My son really needs a new mattress and this one sounds perfect! I would love to win one of the Casper mattresses, with my back and neck problems it would probably do me wonders. The PlushBeds Botanical Bliss is my favorite because it is made of organic material and still looks comfortable and supportive. AMAZING mattress…. WOULD DEF love to win, thank you for the chance… fingers crossed!!!!! This looks so comfortable and pillows to boot! WOW, I am in it! I’m a side sleeper and I think I’d really enjoy the Zenhaven. It looks like the mattress for me !! The Ghost Bed is my fave! Almost picked one up on Cyber Monday but it’s just not quite in the budget. I will stay tuned through December. I have a daughter who has just started her first job, and she’s looking for an apartment….and furnishings for same. Thanks. OK, this is the year I win the Grand Prize!!! After 2 floods, 2 fire ( No, none of them were my fault. Natural disasters mostly). I am sleeping on my 4th mattress -a used one. I don’t sleep particularly well on it . As a side-sleeper I long for a new mattress and a good night’s sleep. I really appreciate the opportunities that this contest brings. Thanks! It’s a tough choice but I really love the Ghost bed, and of course this Casper Wave Mattress looks amazing! Of the lucky winners ! Thanks for the amazing giveaways and informative videos! Thanks for the great information.would love to try this mattress. Based on the video and how the mattress fits the person in the video and pictures of the mattress frame, it appears as though the mattress is short. What is the length? I am ready to jump right in my with my pillow and blanket!!! I would need to test them to pick a favorite, but any would be better than the 10+ yr old twin mattress I have now. Ughhh. Got my hope on a mattress from Casper! The Alexander Signature Hybrid would be wonderful for my bad back!!! Very supportive! Love the Casper Wave – love the pressure map and the 5 layer system with the 5.5” of high density poly foam base layer meant to improve spinal alignment with the contouring. I so need this prize so I can sleep like a queen. I’ve never been lucky. But that’s not gonna stop me from trying. Especially when it’s for my children. It’d be heavenly to win one of these wonderful mattresses. I like this casper since it is soft but yet has good support. I am a senior and I need these so that my bones won’t hurt and I still have the support to get in and out of bed. Yay for 25 days of giving! I seriously need a new mattress, I hope this is my lucky year to win one! I like the Purple mattress. I have heard good things about these too though. I think the Casper is the best review! A little more than I would like to spend, but looks like a good fit for my wife and me. You guys are rocking another great giveaway. Happy Holidays. This would be a great gift. The Casper Wave is a dream bed! I love all the zoned support. Intrigued by the concept of getting a mattress with such a good trial period. I would love to win a mattress. Thank you for the chance. This would be beautiful for Christmas. I own the Nolah mattress and am partial to that one although I am curious about many others you have reviewed. I have heard the Casper is amazing my son has this so I would love to win. I have been trying to win hope k do soon but if not I’ll keep trying. Good luck everyone. Awesome mattress my 65 year old bones sure could use it. The Ghostbed is by far my favorite! zenhaven latex mattress looks good! It is a great mattress! I would love to ride the Wave. This would be the BEST Christmas gift for my hubby! Thanks for the chance! Great! I need a new mattress! All the reviews are very informative. My favorite is for the purple mattress. This sounds like a good mattress for side sleepers! Thanks for the great giveaway!! I would love to surprise my mom with a new pillow or mattress for the holidays! The Casper Mattress sound amazing! Thank you, Cody for providing information about the Casper giveaway, as well as links to further details about the mattress and pillows. Thank you all at Sleepopolis for the chance! I like the casper after reading the review, but the Purple and Layla sound great too! Love all of these products.. please ask Santa to bring me a new pillow.. I am a side sleeper, this could be perfect. I would LOVE to finally be able to lay my head down and actually “rest” for once in my life. Thank you for posting the opportunity to win great mattresses! Need one bad and would love to win! My weary body would be so happy! Zenhaven & Ghost would be my top choices. The reviews here are very thorough showing the pressure points and which is good depending on your sleep position, great blog! !